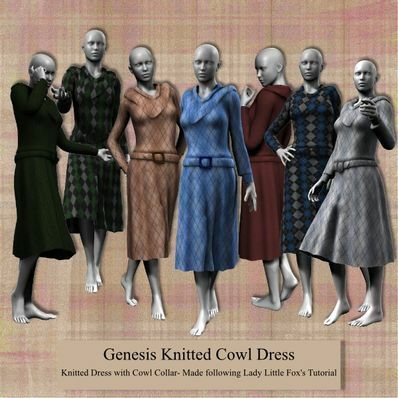 Knitted Cowl Dress for Genesis for use in Daz Studio 4, made after following a tutorial by Lady Little Fox. This is great! It's hard to find dresses with longer skirts. Thank you! Love the belt and the cowls. Thank you.